Your bed is the most important piece of furniture in your room. Dress it with beautiful, freshly laundered linens in pleasing hues and patterns. Here, we chose an inviting robin's-egg blue as the foundation color, adding crisp stripes, soft florals, and geometric motifs for an effect that's both stylish and cozy. To make a bedroom more conducive to sleep, adjust the lighting, temperature, and noise level to suit your needs. According to the National Sleep Foundation, a bedroom that's cool, dark, and quiet fosters more restful slumber. Regular care: How often you wash your sheets is a personal preference. In general, it's a good idea to launder them weekly to remove dirt and dust. Use warm water rather than hot, which can shrink fibers, and wash printed and colored pillowcases inside out to protect the color. If your sheets feature delicate trim, check the care label before washing. Stains and spots: When dealing with tough stains, use oxygenated bleach on whites and light colors (chlorine bleach is too harsh for most linens). Cosmetics and face lotions are a common cause of discoloration. Many skin products contain oxidizing agents that actually can bleach sheets. If you are concerned about these spots, choose white linens or consider purchasing an extra set of pillowcases when you buy sheets. 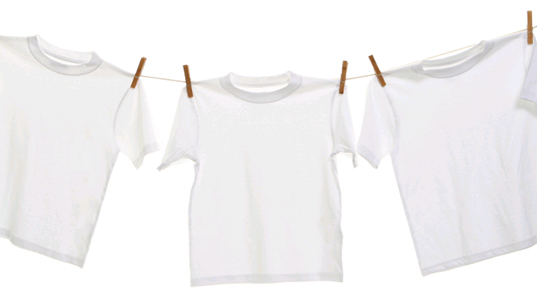 Tumble dry sheets according to label instructions, and remove them before they're fully dry to help minimize wrinkles. To avoid mildew growth, make sure sheets are dry before storing them. If you have the time, ironing your sheets is a surefire way to make them feel new again. Keep spare sheets, neatly folded, in a cool, dry closet or drawer. Surfaces should be lined with acid-free tissue paper, which helps keep fabric from yellowing. Avoid storing sheets in plastic containers, which can trap moisture and foster the growth of mildew. Frequent washing will break down even high-quality sheets. Replace them when you see obvious signs of aging, such as stains, fraying hems, or faded patterns. Thread count: When buying sheets, don't be tempted by high thread counts (200 to 400 is fine). Some manufacturers use a method called double insertion, in which two or four threads are twisted together before weaving. This doesn't result in more threads per inch or a softer sheet. Cotton quality matters more: Look for 100 percent combed cotton, which produces a finer sheet than carded cotton, and go with what feels best. Wash: Even with protectors, pillows should be washed at least twice a year; the covers, once a month (along with your mattress cover). Most down and synthetic pillows are machine washable (check the care label). Use mild liquid detergent rather than powder, which may leave a residue. Launder pillows in pairs to keep your machine balanced. 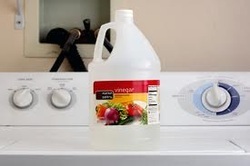 Run them through the rinse cycle twice the second time without detergent, to ensure they're rinsed fully. In the dryer: For down and feathers: Use the air cycle or low-heat setting, and make sure pillows are completely dry. There shouldn't be any bunches of feathers -- since dampness left in the pillow may cause mold. High heat can encourage clumping in polyester-filled pillows, so dry them on low heat. Your dryer will refluff pillows nicely, especially if you throw in a couple of unused tennis balls (wrapped in clean white socks, to prevent dyes from transferring). Longevity: With regular washing and fluffing, the average down or feather pillow can last many years. "I have pillows on my beds that are 10 to 15 years old," Martha says. In the long run, good-quality down is the least-expensive way to go since it holds up better than synthetic stuffings, which generally wear out in three to four years. When a pillow no longer looks evenly filled after its daily fluffing, or if you're waking up with neck or back pain, it's time for a replacement. It's good to note that many high-end manufacturers will refill their pillows for a fee. If you have allergies, replace pillows every couple of years. Selection: Stomach sleepers do best on soft (preferably down) pillows, which reduce neck strain; back sleepers need a medium-firm pillow that is flatter and firmer. Medium-firm or firm are best if you sleep on your side or toss and turn a lot. Most comforters should have a cover, which is much easier to clean and, like a pillow protector, helps shield allergy sufferers from a buildup of dust and dirt. It also guards against oils that can break down fabric and eventually cause filling to leak. Decorative comforters, which come in a variety of colors and styles, do not require covers. Comforter covers should be washed weekly (monthly if you use a top sheet), but you won't have to wash the comforter itself unless you spill something on it. (Wash a decorative comforter as frequently as you would a comforter cover.) When it's necessary, launder comforters following the label's instructions. If your washing machine can't handle a bulky comforter, take it to a Laundromat, which will have industrial-size machines. Or take it to a professional cleaner: Make sure down is wet-cleaned, or dry-cleaned using organic solutions that don't have harsh chemicals. To remove moisture, which could lead to mold and mildew, thoroughly dry all comforters -- most should be machine-dried, but check the label. Store your comforter folded in a cool, dry place, away from moisture and light. A linen or canvas storage bag will allow it to breathe; avoid plastic, which prevents air circulation. Refresh it: To reduce odor buildup, hang your comforter on a clothesline on a dry, breezy day every few months. You can fluff your comforter in the dryer, just as you would a pillow. Longevity: Because it doesn't have to support weight the way pillows and mattresses do, your comforter should last 15 to 25 years if you keep it covered and air it regularly. Replace it when it begins to look limp and flat or starts leaking bits of filling. Buying tips: When shopping for a new comforter, consider your bedroom temperature before choosing the weight and material. And look for double stitching or baffle construction, which prevents down from leaking and helps keep the filling from bunching or matting as it's washed. A mattress cover is the best way to protect your mattress from allergy-causing dust. A cover also prevents the mattress from absorbing perspiration, which may cause it to deteriorate more quickly. Choose a cover that's quilted or padded with feathers for added softness. Wash the cover once a month. Most mattresses are constructed well enough that they don't need flipping. (You'll know yours is one of these if the pillow-top quilting is only on one side, or if it has a designated top and bottom or head and foot.) Some experts still suggest rotating them end-to-end once a month for the first six months and then once per season. This is important if one partner is heavier than the other or if you sleep alone, because it ensures that your weight is distributed equally across the bed. Longevity: A high-quality mattress will last 20 to 50 years; midrange brands last eight to 10 years. Using a cover and rotating regularly can extend your mattress's life. You'll know it's time to replace your mattress when it gives you a stiff back; it probably has lost its cushioning, and the springs have worn down. Health matters: Allergy sufferers take note: If your symptoms are bad -- and you already have a mattress cover and wash your linens frequently -- your mattress may have accumulated too much dust. Replacing an old mattress and increasing a room's ventilation are the two most effective ways to reduce dust, according to the Journal of Allergy and Clinical Immunology. Learn how to wash your filthy baseball cap! Take a leak proof Tupperware container. Place your hat inside. Add 1 teaspoon dry detergent. Fill with warm (not hot) water until the hat is over halfway covered. Make sure to leave some space for the water to really move around. Close lid and shake. You will immediately see the dirt and grime come into the water and make it turn brown. If you need to get a stubborn sweat line out of the hat brim (let the line soak in a thin layer of DAWN soap overnight first) ! 1. The less you have to store, the easier it’ll be: Now’s the time to trim your wardrobe. Haven’t worn that sweater in years? Give it to Goodwill or your local homeless shelter, or bequeath it to your friend who looks much better in eggplant than you do. 2. Wash everything: It might seem like common sense to store clean clothes instead of dirty, and it is very practical — storing stuff with stains, even the kind you can’t see, could attract bugs to an uninterrupted feast in your closet. Any stain that’s there now will also have all that time to sink in and be even worse when you next pull it out. Launder everything in the hottest water it can take or drop it off at the dry cleaner before packing it up, but skip fabric softeners and starch, as they can attract beetles and moths. 3. This is not your grandma’s closet: No offense to your grandmother, but you don’t want your clothes smelling like musty old moth balls. Good alternatives to keep moths at bay and have your clothes come out smelling nice — cedar blocks or bags of lavender will work just as well. If you’re lucky enough to have a cedar closet or chest, you’re probably laughing smugly at this. 4. Choose your storage containers wisely: For clothes you can fold up and pack away, pick plastic containers over cardboard, and the more airtight the better. Cardboard boxes aren’t much protection against insects or humidity. Even better — resealable vacuum bags, which cut down on space and keep all the bad things out. 5. Fold sweaters and knits, hang heavier things like coats: If you’re storing something that you’d normally hang, roll it up tightly to avoid creases. For coats, choose hangers that can support their weight. 6. Speaking of hangers — noooooo wiiiiiiire hangers, EVER! : Yes, we’re yelling this like Faye Dunaway in Mommie Dearest. Wire hangers can distort the shape of your clothes over time, so go for plastic or wood, depending on the weight of the clothes. Garment bags are an added layer of protection, if you have them. 7. Think about the future: Next winter you’ll be diving for those woolly sweaters as soon as the first bite of frost hits. Make things easier on yourself by storing like with like to make items easier to find, and store heavier things at the bottom of boxes to avoid creases and wrinkles. 8. The venue is important: Ideally, you’ll want somewhere well-ventilated, cool, dark and dry to store your clothes. Sunlight can fade your clothes during storage and warm, moist places are a bug’s paradise. Storing clothes an area with good air circulation will ward off mildew. 8. Check in now and again to see how your clothes are doing: We know, no one wants to think about that thick turtleneck while basking in the summer sunshine. But it’s a good idea to take a look at your stuff now and again, if only to interrupt any feasting bugs and check for cracks or leaks in your storage containers. Underarm stains are one of the hardest stains to remove, especially if the shirt has been dried in the dryer after becoming stained. Make a mixture consisting of one part Dawn dish-washing liquid mixed with two parts hydrogen peroxide PLUS added some soda for the extra scrubbing element. Use a small laundry brush to work the whole concoction into the stain for a few minutes. Let it sit there for an hour or so and then launder as usual. Giving everyone in the family a mesh bag for their dirty socks is the perfect way to end missing socks — simply zip it up, wash it, and return it to it's owner about once a week. I absolutely love the idea of letting kids decorate their own bag with fabric markers!